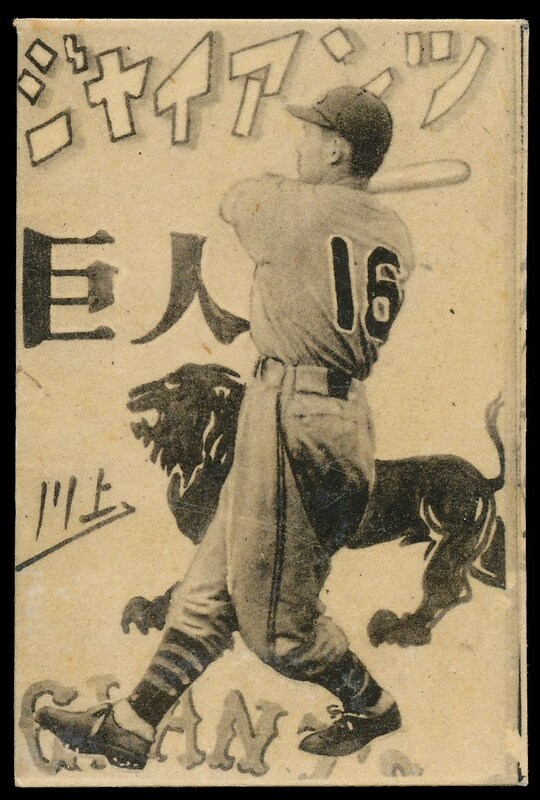 The God of Batting is seen in the company of a lion on this card. The word "Giants" is also printed in English, hiragana and kanji in the background. 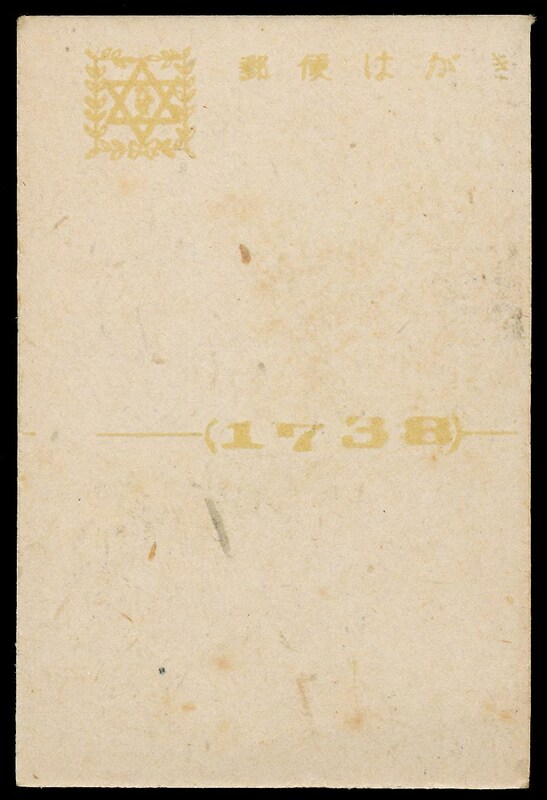 As is the case with quite a number of JBR 76 cards, the back has the appearance of a mini postcard. Size: 1 5/8" x 2 1/2"
Condition: Would be Ex to Ex/Mt but for a bit of paper loss in the lower right corner.